Legal and illegal mining is veering out of control in the Amazon — imperiling not just surviving wild-lands but also national parks, protected areas, and indigenous peoples too. 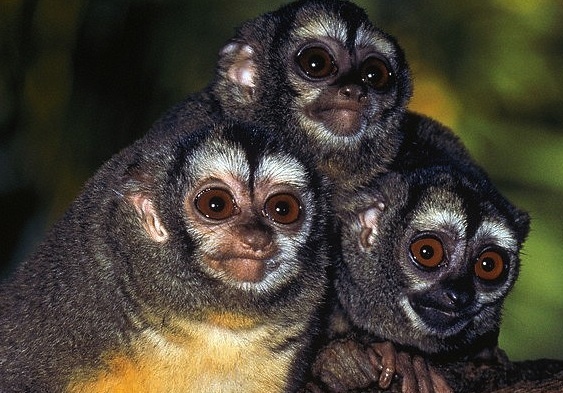 Here, John Seed from the Rainforest Information Centre and ALERT member Philip Fearnside give us a glimpse of the ongoing onslaught in Ecuador and Brazil, respectively. In Ecuador, Protected Forests (Bosques Protectores) are increasingly being handed over to mining interests, with no environmental research or consultation with indigenous or local communities. Analyses by John Seed and others indicate that mining concessions now span nearly 3.7 million hectares in Ecuador — an eighth of the national land area, collectively exceeding in size the nation of Japan. And the mining tsunami is sweeping right into Ecuador’s protected areas. Overall, 30% of all Protected Forests in Ecuador are now in mining concessions. 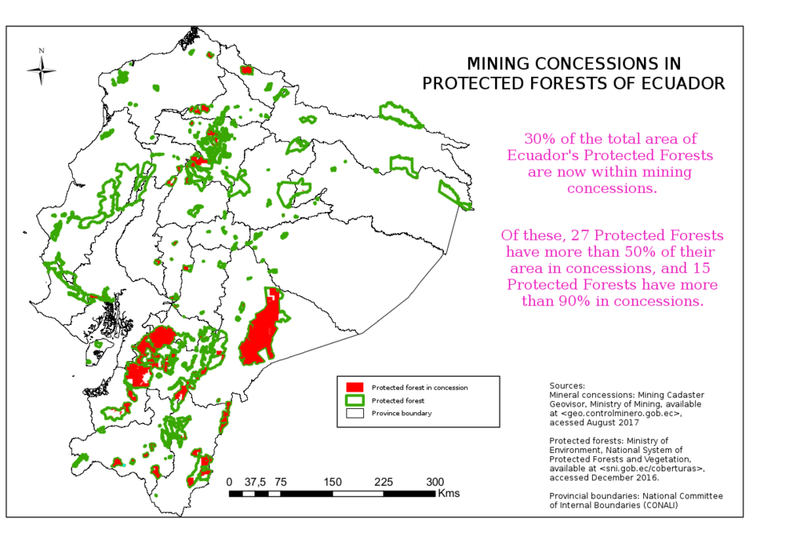 Of these, 27 Protected Forests will lose over half of their area to mining, and 15 will lose over 90% of their area. The impacts on biodiversity are frightening. For example, more than 1 million hectares of the best bird habitat in Ecuador — a global hotspot for biodiversity — are now under mining concessions. This includes Bosque Protector Molleturo Mullopungo, home to dozens of critically endangered species that is now completely covered with mining concessions. Miners are also running amok in Brazil, where President Michel Temer and has ‘ruralist’ allies in Congress have seemingly declared war on the environment. In March, Temer publicly invited international mining corporations to Amazonia. To tempt big miners, Temer is also opening up the vast RENCA, the national reserve of copper and minerals, for mining development. 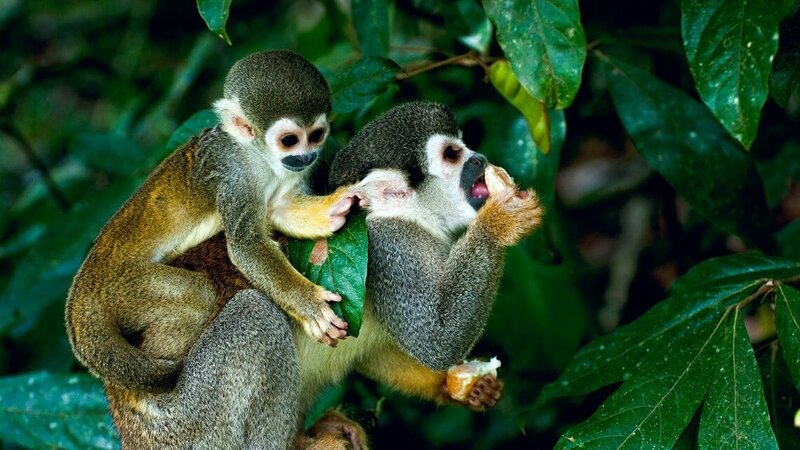 Located in northern Amazonia, the RENCA spans an area the size of Switzerland — 4.6 million hectares — is rich with intact native forests, biodiversity, and indigenous peoples. It contains nine protected areas and two indigenous reserves. The RENCA was protected by Brazil’s leaders in 1984 to reserve the country’s richest mineral resources from foreign exploiters. Notably, the Congressional Committee considering legislation to open up the RENCA is receiving massive campaign contributions from Vale, one of the world’s biggest mining corporations. Just as is happening in the RENCA, protected areas in Brazil have been attacked again and again by changing their legal classification (see here, here, here, here and here). In most cases, the vulnerable protected areas are those that overlay mining claims (see here, here, here, and here). Opening up the RENCA will change the Amazon irrevocably — creating huge industrial mines as well as networks of new roads — which in turn provide avenues for forest invasions, land theft, illicit logging, and illegal gold mining. In Brazil as in Ecuador, Peru, Colombia, and far beyond, aggressive miners and the lethal spider-webs of roads they bulldoze are opening up far larger areas of forest for exploitation and destruction. if this were just happening in Peru it'd be one thing, but 'blood gold' has turned into a global crisis. Especially in developing nations, the combination of high gold prices and too many poor people is creating almost unstoppable pressures for miners to invade parks, wildernesses, and anywhere else that alluvial gold occurs. Completely unregulated, the environmental impacts of illegal mining are many--destruction of riparian habitats, massive increases in river sediment loads, and toxic mercury pollution among them. And that's not to mention the human toll that the miners take on indigenous groups and rural communities trying to survive in areas ravaged by mining, when the fish are gone and the only source of drinking water is now tainted.